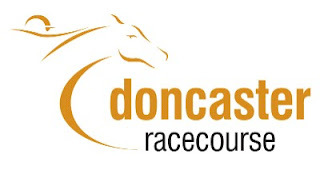 Welcome to Turfcall UK: REVIEW WEDNESDAY 8 SEPTEMBER THE FIRST DAY OF DONCASTER’S ST LEGER FESTIVAL MEETING 2010.
REVIEW WEDNESDAY 8 SEPTEMBER THE FIRST DAY OF DONCASTER’S ST LEGER FESTIVAL MEETING 2010.
REVIEW: DONCASTER INTRODUCE A NEW CHARITY RACE, UNDER RULES. OPEN TO RACE RIDING LEGENDS OF THE PAST. WHO HAD BETWEEN THEM WON THE MAJORITY OF BIG RACES AROUND THE WORLD, BOTH ON THE FLAT AND OVER JUMPS, INCLUDING THE DERBY, ARC, CHAMPION HURDLE, GOLD CUP, AND GRAND NATIONAL. 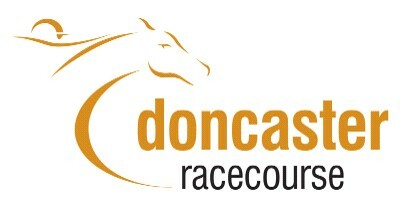 The debut of this race, 3.45 The Fudge and Smudge Leger Legends Classified Stakes (Class 5) 1m. Winner £6,476. 16 ran. This race open to 3 year olds + rated 1-70 partnered by Riding Legends of the past. 16 runners took part. With three reserves standing by. Being a classified stakes race. The runners were tightly matched judged on official ratings, which meant the skill and more importantly the fitness of their riders, was always likely to prove paramount. In the event, nothing was able to come from off the pace. WINNER: MIAMI GATOR (v) 3-11-2 partner CHARLIE SWAN trainer Mrs K Burke for Mrs Elaine M Burke. 9/2 j . In form, front runner took command from the start, never headed. SECOND: LEGAL LEGACY 4-11-13 partner DALE GIBSON trainer M Dods for D Vic Roper. 9/2 j Top weight, beaten one and three quarters of a length. Took keen hold from the off, always in touch. THIRD: AFLAAM 5-11-7 partner GRAHAM BRADLEY trainer RA Harris for The Circle Bloodstock Limited. 8/1 . Beaten nk. Always in touch, could find no extra. FOURTH: CAPE KIMBERELY 3-11-2 partner ERNIE JOHNSON trainer AG Newcombe for J R Salter 25/1. Beaten three and a quarter lengths. No more to give from over a furlong out. The total sum to date received in through the running of this chartity race, amounts to £116,000. (One hundred and sixteen thousand pounds) To be shared between the Injured Jockey Fund and the Northern Racing University's project "The House that Jack Built.